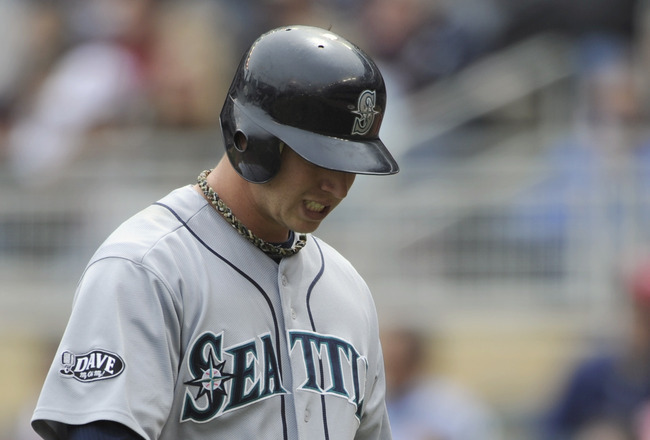 The Seattle Mariners’ offensive struggles have been well-documented. The Mariners have scored the fewest runs in baseball for each of the past two seasons and have ranked in the top half of the majors in that category just once since 2004. In 2011, Seattle put together a major-league worst .233/.292/.348 batting line as a team, somehow a step down from the .236/.298/.339 it posted in 2010. So when the Mariners shipped out pitcher Michael Pineda to acquire the New York Yankees’ top prospect in catcher Jesus Montero, their thinking of improving their offense makes sense. 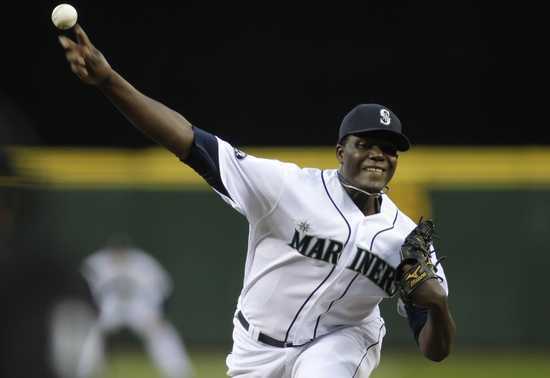 But by trading Pineda, Seattle is making a horrible mistake that it will regret for years to come. Twenty-two year old pitchers who stand at six-foot-seven, can start and touch 100 miles per hour with their fastball do not come around very often. They are the ones who are almost always listed as untouchables when other teams call to make trades. Just those very characteristics make Pineda a potential superstar pitcher, one who figures to dominate the game for years to come. But in his rookie season last year, Pineda proved that he is already at that level. 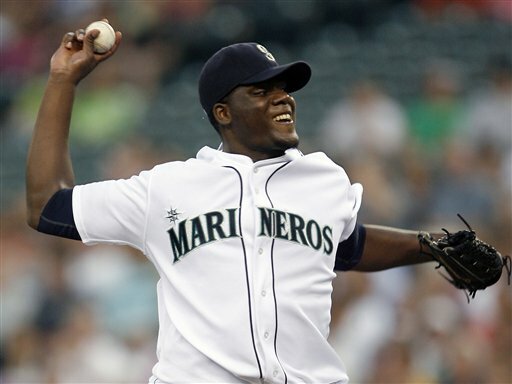 Pineda possesses the arsenal of a pure power pitcher to match his size on the mound. His fastball was the fourth-quickest in all of baseball last season, averaging 94.7 mph, better than all pitchers not named Alexi Ogando (95.1), Justin Verlander (95.0) or David Price (94.9). A stomach-lurching slurve helped induce the most swings-and-misses of any pitcher in the majors at 11.8 percent of his pitches. Those whiffs helped Pineda strike out 24.9 percent of opposing hitters, sixth-best in the majors and greater than Price, Yovani Gallardo, Cole Hamels, Jered Weaver and Chris Carpenter. Pineda wound up striking out 9.11 batters per nine innings, seventh-best in all of baseball and more than Verlander, Gio Gonzalez, C.C. Sabathia, Mat Latos, Felix Hernandez and Roy Halladay. While power pitchers sometimes struggle with control, Pineda did not have that issue even as a rookie. He struck out 3.5 batters for every walk he issued, a mark better than Matt Cain, Tim Hudson, Tim Lincecum and Jon Lester. Pineda’s electric fastball and plate-sweeping slurve also prevented many opposing hitters from making solid contact. Opponents hit just .209 against him in 2011, tied with Jeremy Hellickson as the fourth-best mark in baseball, behind only Verlander, Clayton Kershaw and Josh Beckett. Pineda’s ability to keep opposing teams off the bases helped him earn the eighth-best WHIP (1.10) in the American League, which ranked above Hellickson, C.J. Wilson and Trevor Cahill. Montero may end up being a great player for the Mariners. He was ranked as the third-best prospect by Baseball America before the 2011 season and has hit .308/.366/.501 in five minor league seasons. But Pineda has already proven that he can be mentioned in the same breath as some of the very best pitchers in baseball. His strikeout numbers show that he will only continue to improve as he learns how to pitch and indicate he has the stuff to dominate the major leagues. 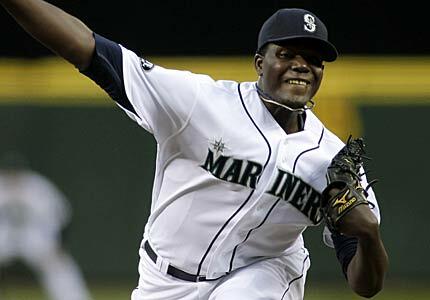 The Mariners may be improving their offense with this deal, but trading a 22-year old talent like Pineda will be a move they regret for a long time. On July 6, the Seattle Mariners woke up to find themselves with a record at .500 (43-43) and just 2.5 games behind the Texas Rangers in the American League West. Seattle had been one of the feel-good stories of the first half of the major league season, a team that had placed themselves in the playoff conversation with their pitching (ranked third in the AL in ERA and second in runs allowed) and defense despite one of the worst offenses in the history of baseball. The Mariners have scored the fewest runs (323), managed the fewest hits (737) and have the lowest team batting average (.224), on-base percentage (.289) and slugging percentage (.331) in baseball this year. Seattle is on pace to have the lowest team batting average of any American League team during the designated hitter era (since 1973). The record is held by the 1981 Toronto Blue Jays, who hit .226 during a strike-shortened season. The full-season record is a .235 average by the 1976 Angels. The Mariners would have to hit roughly .255 to avoid history, but of the nine players on their roster with at least 130 at-bats this year, six of them are hitting below .230, including two (Chone Figgins and Franklin Gutierrez) who are hitting below the Mendoza Line of .200. No one is hitting above .270. Seattle’s offense is also on pace to break another record that no team wants. The Mariners had a .298 team OBP last season. With their .288 team OBP this year, the Mariners would become the first AL team to have back-to-back seasons of OBPs below .300 since the 1966-’67-’68 Chicago White Sox, Washington Senators and Cleveland Indians. The White Sox, Senators and Indians each did for three seasons in a row, but then the mound was lowered after the ’68 season to give pitchers less of an advantage over batters. This year’s team might have a hard time not breaking this record, considering that of the nine Mariners on the roster with at least 130 at-bats, five of them have OBPs below .260. Only Jack Cust has an OBP of at least .325. After July 6, things have gone from bad to worse for the Seattle offense. The Mariners have lost 13 consecutive games, falling 13.5 games behind Texas, who has gone 11-2 in the same stretch. Seattle’s offense has scored a total of 31 runs during its 13-game losing streak, averaging a paltry 2.4 runs per game. The Mariners offense has been so bad during the losing streak that they scored more than four runs in a game just three times. 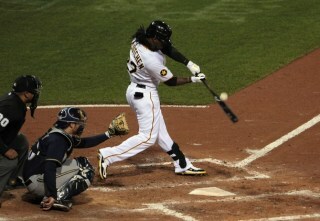 They have also put together a stretch where they managed to cross the plate only four times in five games. Over the past 13 games, Seattle has been shutout three times and limited to one run in a game on three other occasions. While the Mariners’ offense is having a particularly bad season historically, they have reached a new low during this 13-game losing streak. Even with a good pitching staff and solid defense around the diamond, the Seattle Mariners’ Cinderella run this year has finished because of an offense that is among the worst of all-time. 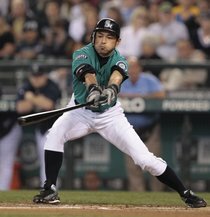 The offensive funk has even spread to Ichiro Suzuki, who in his first 10 years with the team, hit .331/.376/.430 while AVERAGING 224 hits per season. This year, Ichiro is hitting .267/.313/.318 and is on pace for only 178 hits. Seattle has called up top prospect Dustin Ackley (.277/.333/.485 with four home runs and 14 runs batted in in 28 games) in an effort to get more offense, but unless this team suddenly gets hot at the plate, the Mariners are on pace to break a couple of records that no team wants, even with Ackley in the lineup. In a season that has suddenly gone down the drain, an offense that is possibly the worst-ever is the Seattle Mariners’ downfall.